A new bar and Italian spot, offering pizza and more, has opened for business in the neighborhood. Called Porta, the newcomer is located at 1216 Chestnut St. in Washington Square West. This newcomer--which has two other locations in New Jersey--is maintained by the Smith restaurant group and specializes in authentic Neapolitan pizza and contemporary takes on Italian cuisine. 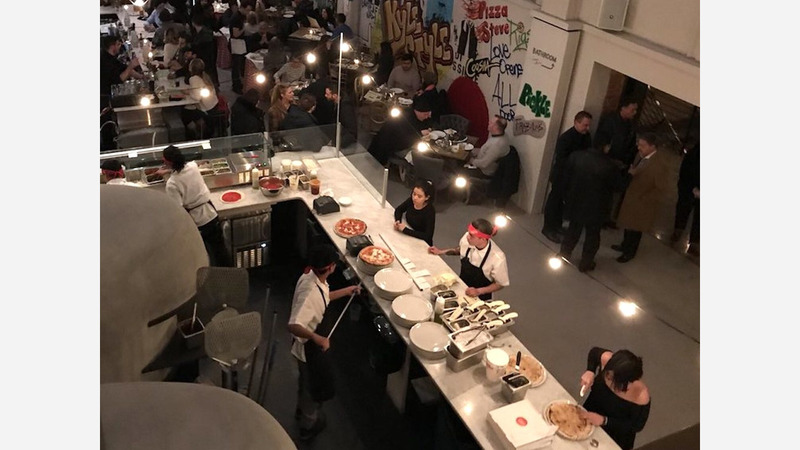 The restaurant space boasts "two pizza ovens flown in from Naples and three bars across the lower and mezzanine levels," according to its owners. On the brunch menu, expect to see dishes like brioche French toast with whipped butter and maple pecan syrup, "Eggs in Purgatory" with San Marzano tomatoes, poached eggs, ricotta salata, oregano, and basil; and pork Milanese with Parmesan cheese, lemon butter sauce, and crispy sage. Switching over to lunch and dinner items, expect to see vegan, vegetarian and meat pizzas like the "Rita & Mark" with San Marzano tomatoes, vegan mozzarella, vegan parmesan, and garlic; the "Winter Betty" with goat cheese bechamel, thyme, garlic, and Brussels sprouts; and the "Italian Stallion" with house-made mozzarella, gorgonzola, and house-made Italian sausage. With a 4.5-star rating out of five reviews on Yelp so far, Porta has already made a good impression. Richard R., who was among the first Yelpers to review the new spot on January 2nd, said: "I stopped in here on New Year's Eve to grab a drink and bite to eat before heading out, and was quite surprised and impressed by this new spot in town. The space is beautifully designed." And Ryan B. said: "Just found my new favorite hang in Philly. Wasn't really sure what to expect except that it was a pizza place with Jersey roots. Loved everything about the spot. Really awesome layout and cool vibe." Porta is now open at 1216 Chestnut St., so stop in to try it for yourself.